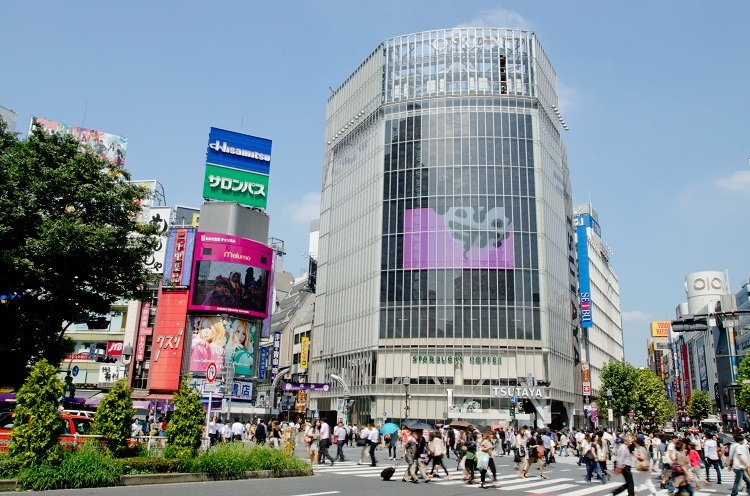 Shibuya （渋谷、しぶや） is a huge shopping and entertainment district comparing with Harajyuku and Ikebukuro. Shibuya is called "the transmitter of youth culture", and there are numerous shops selling clothes and products in the latest fashion and fancy restaurants for youngers. Also, Shibuya includes some famous department stores and photospots such as "the statue of Hachiko （ハチ公）" and Shibuya scramble crossing. 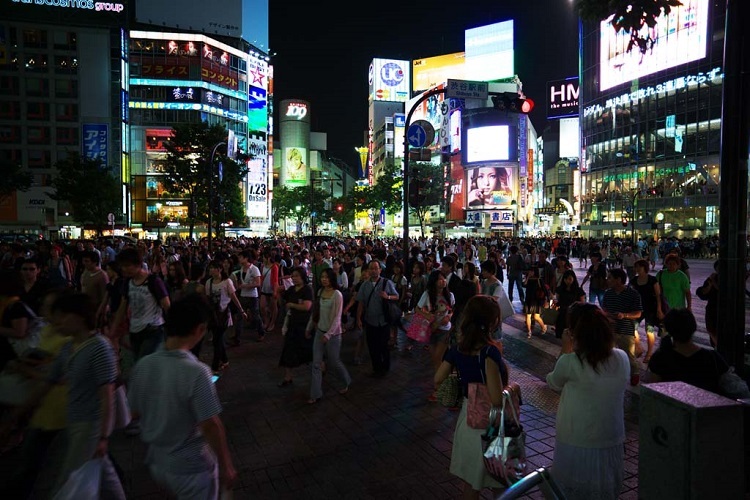 Once the traffic lights turn greem, 3,000 people start to go across Shibuya scramble crossing at most. Shibuya station is very large station, and the surrounding includes a lot of big stores such as "Shibuya Hikarie （渋谷ヒカリエ）" that opened in 2012 and some huge department stores. Among them, the most famous store is "Shibuya 109". This store is a representative store for young women and dealing with things in the cutting edge of the fashion. Shibuya 109 offers you uncountless trendy clothes, shoes, purses, and accessories. Also, at the opposite side, "Shibuya 109 men's" opens. The area of the northeast Shibuya is called "Shibuya center gai （渋谷センター街）" and consists of lots of narrow street with numerous shops. 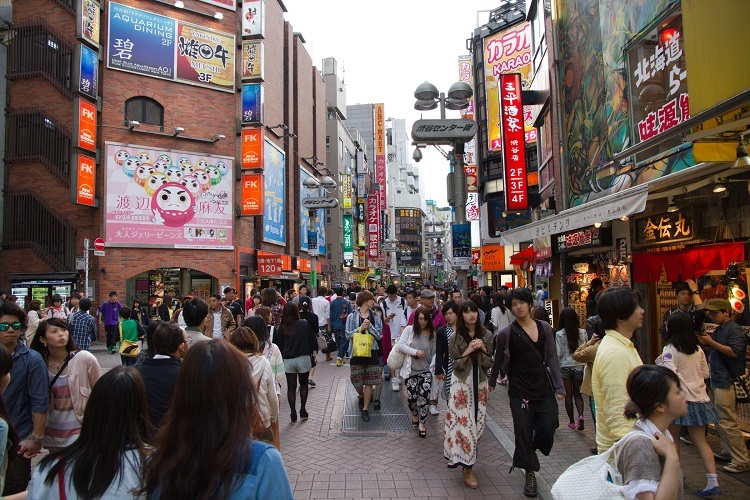 Unlike around Shibuya station, shops in center gai are not so large, but you will see various kinds of shops such as clothes, used items, record shops, night clubs, etc... Of course, it includes restaurants and izakaya (Japanese syle tavern). Also, "Loft" and "Tokyu Hands （東急ハンズ）" is open in canter gai. These store focus on products related to hobbies, interior, and livingwares, and it must delight you! Shibuya center gai is always crowded.